Slovenia have confirmed their participation in the Eurovision Song Contest 2018 in Lisbon, Portugal. RTV SLO have confirmed that they will be taking part in next year’s Eurovision Song Contest in Portugal, and have opened their submission window for their national final EMA. Interested artists must submit their songs in Slovenian and another language, and other components to RTV SLO. More rules can be found here. Slovenia have used EMA (Evrovizijska Melodija) to select their Eurovision entry since 1996, with the exception of 2012 and 2013. The 2017 edition of EMA saw a rule change in which six Slovene regional juries gave out their votes as 2, 4, 6, 8, 10 and 12 points, and televoting distributed 252 points between the finalists. 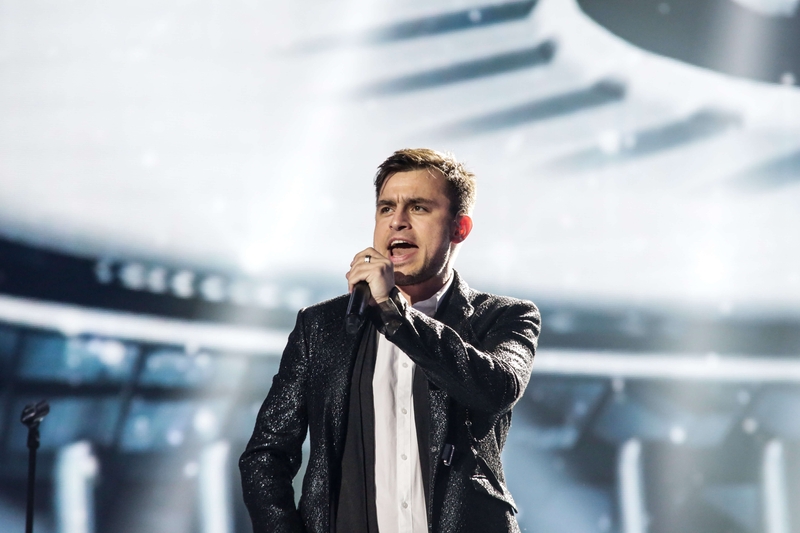 This year the winner of EMA was Omar Naber, who went on to the Eurovision Song Contest in Kyiv, Ukraine. With his song “On My Way”, he didn’t manage to get out of the semi-final and finished 17th with 36 points. This was not the first time Omar represented his country, as he made his first appearance at Eurovision in 2005 with his song “Stop”. Today is the deadline for broadcasters to submit their paperwork for the Eurovision Song Contest. To date there are 32 countries that have confirmed participation, although there’s expected to be more confirmations this week. Returning to the contest is Russia, who withdrew from the 2017 edition of the contest after their entrant Yulia Samoylova was banned from entering host city Ukraine. Australia are also participating for the fourth year since their debut in 2015. Recently, Slovakia had confirmed they will not be returning next year, along with Turkey who has been absent since the 2013 contest. The Eurovision Song Contest 2018 will be held in Lisbon, Portugal on the 8th, 10th and 12th May next year. The venue has been revealed as the MEO Arena. Cyprus, Eurovision Song Contest, Eurovision 2017Cyprus: Hovig Releases Acoustic Version of "Gravity"
Let’s get Slovenia to the Final this year! I guess RTVSLO meant by “another language” was actually these!